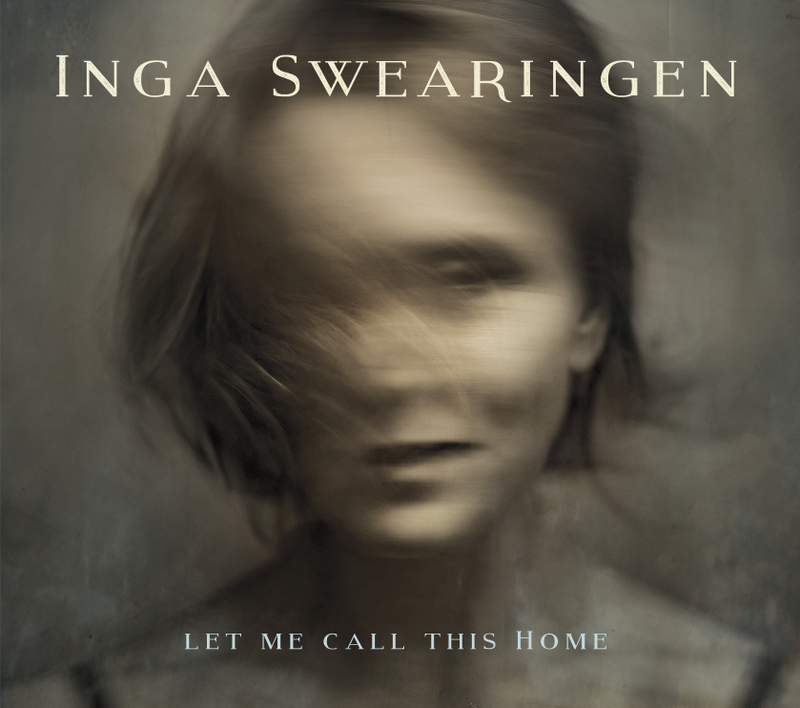 Inga Swearingen's highly anticipated fourth album, Let Me Call This Home speaks of the yin and yang pull of home, having a longing for it, and wanting to leave it to ultimately come home again. “Sometimes home is a place, other times it's a person. You can long for it, or want to leave it. And songs can take you home or take you far away," says Swearingen. "There is a constant to my sense of home, and it's also ever changing. I love the people I love, and no matter where I am, I carry them with me and I am home. But I also must leave to be able to come back. The songs on this album express this pull and yearning." Swearingen compares the building of this album to building a house. Pouring a good foundation musically translates into putting down solid grooves on which the songs are built. The album easily interchanges time signatures and feels, giving the arrangements sophistication and intrigue, but always serving the mood and message of the song. Continuing the analogy, walls are then built with rich harmony that is sometimes complex and dissonant and other times simple and nostalgic. These song structures support well-crafted melodies that are the roofs over houses where loved ones gather and experience the many facets of life. It all comes together to create a space that invites you to kick off your shoes and stay awhile in this house of jazz, folk and blues. The fullness of the album, six original tracks, is the collaboration between Swearingen and Jeff Miley, an imaginative, provocative LA based guitarist who co-wrote, produced and mixed much of the album. Tracks Edge of Town and Wood and Steel uncover the paradox of being away from home to really appreciate it. 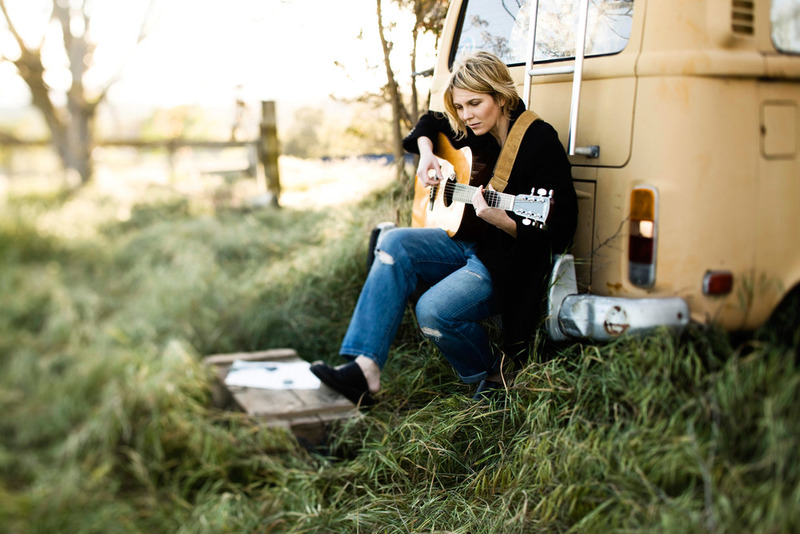 Swearingen’s own Find My Way Home is a melodic testament to taking what life gives her and handling it beautifully. The song is enhanced with Inga’s signature scatting and the beautiful backing vocals of Moira Smiley. The album mixes in the compelling renditions of 80’s pop hits Message in a Bottle by The Police and This City Never Sleeps by the Eurythmics, connecting the listener to the shared experience of isolation. Ray Charles' I Don’t Need No Doctor delights with a front-porch blues romp featuring the brilliant harmonica playing of multiple Grammy-Award Winner Howard Levy. The last track Short Trip Home with music by Edgar Meyer and lyrics by Swearingen speaks to home by simply closing ones eyes to be with that person that is one's own solace. Altogether, the album is about love, longing and finding your way home. Zac Mathews - Bass on "Edge of Town", "Edie" and "I Don't Need No Doctor"
Joel Alpers - Drums on "Edge of Town", "Edie" and "I Don't Need No Doctor"
Special Guests - Char Rothschild - Trumpet on "This City Never Sleeps"
Howard Levy - Harmonica on "I Don't Need No Doctor"
Guy Budd - Guitar solo on "I Don't Need No Doctor"
Moira Smiley - Vocals on "Find My Way"
Bob Liepman - Cello on "Short Trip Home"
Aaron Wolf - Alto sax on "Short Trip Home"
With her new release, First Rain, Inga Swearingen ventures into new territory while staking a claim in what she knows best: music and song rooted in family, nature, love and human spirit. First Rain is a compelling mix of home grown folk, and soulful, bluesy jazz, with acoustic layers of guitar, standup bass, violin and cello that frame Inga’s clear, translucent voice. Whether putting her personal stamp on a jazz standard or combining the understated grooves of bossa nova with Swedish folk melodies, Inga captivates her audience with her gift of joyful melodic invention. After two successful releases, Inga and her band explore a new sound with a diverse range of moods, textures, and grooves on First Rain. From the opening chords of “April Afternoon,” through the last track, (a take on Emily Dickinson’s poem “Ample,”) the album embraces harmony not only in the music, but also as a way of life. Deeply personal, all of the songs were written or arranged by Inga and feature silky vocal harmonies with her sister Britta. While continuing to be rooted in jazz, Inga is now revisiting her folk and classical influences and creating a sound all of her own. “I studied voice and choral conducting in school,” Inga explains. “In fact, I first sang, “Black is the Color of My True Love’s Hair”, as an art song with lots of vibrato. It was fun to arrange it as a bossa nova on this album. I like to blur the line between genres and draw inspiration from anything that speaks to my heart. I was influenced early on by Ani DiFranco, and at the same time I love how Bobby McFerrin used his voice as an instrument. I also admire the joy I heard when listening to Ella Fitzgerald sing with all of her being, as though she held nothing back for her next gig. I think the commonality is that all three made music that reflected their life experience.” With First Rain, Inga is digging in and singing from her heart. Living near Los Angeles, Inga has the opportunity to work with players steeped in a thriving music scene. 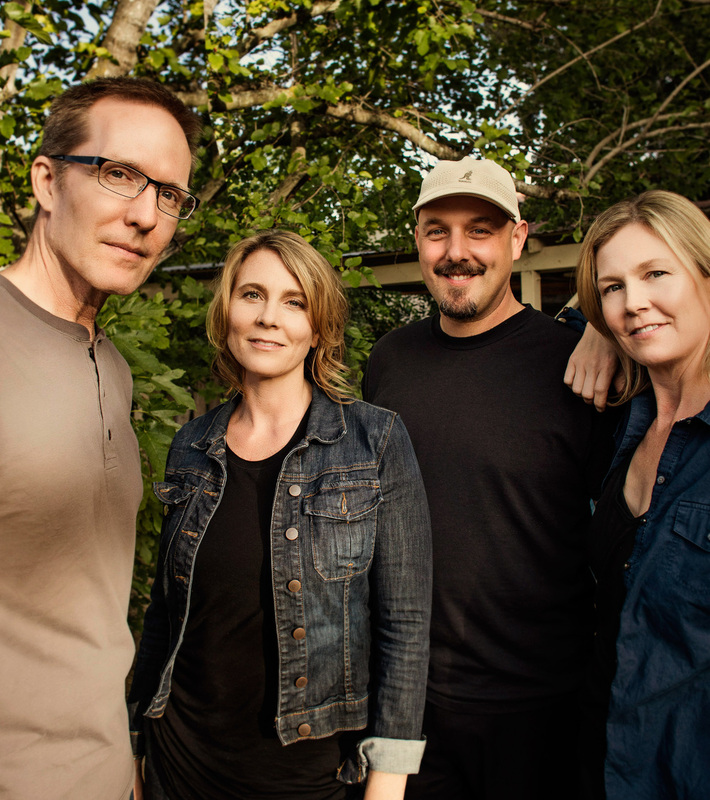 She chose to compliment the sisterly vocal harmonies with two guitarists on the session, Jeff Miley and Larry Koonse. The result is elegant and sparse in terms of accompaniment. In “Before the Journey,” an original Darek Oles composition, Inga adds her own lyrics and unites her counter melodies with Oles’ unmistakable bass playing. Inga enthuses about each of the musicians that worked on the project and refers to them as kindred spirits. “I was drawn to each of them personally as well as musically,” she explains. It was not the first time Inga acted on that desire to connect with a specific musician. In 2003, she began to study with the acclaimed jazz singer Susanne Abbuehl (ECM Records), which was a transformative experience. In her first competition after her six‐month experience with Susanne, Inga won first place at the Montreux Jazz Festival Shure Vocal Competition.